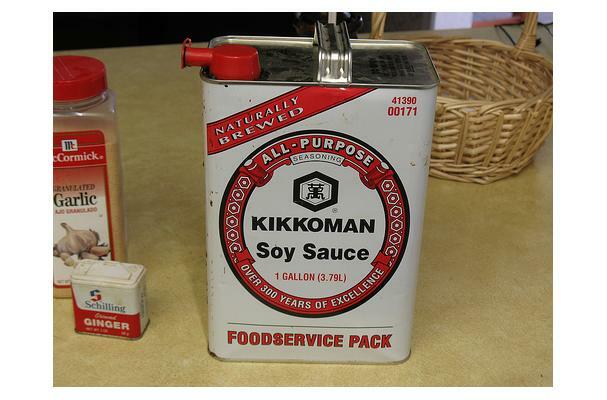 Soy sauce is a fermented sauce made from soybeans, roasted grain, water, and salt. It was invented in China where it has been used as a condiment for close to 2,500 years. It is used widely in Asian cuisines, and is popular in Western cuisines as well. Flavors: Usually salty, but you can also find sweet soy sauce. Procuring: Soy sauce may be made either by fermentation or by hydrolysis; some commercial sauces contain a mixture of fermented and chemical sauces. Soy sauce can be stored in a cool dark place or a cupboard. Storing it inside the fridge is not required, but it will help prolong its flavor longer. The container should be tightly sealed and stored away from direct heat and light. History: Soy sauce originated in China 2,500 years ago and its use later spread to East and Southeast Asia. Like many salty condiments, soy sauce was probably originally a way to stretch salt, historically an expensive commodity. The recipe for Chinese soy sauce originally included fermented fish as well as soybeans.